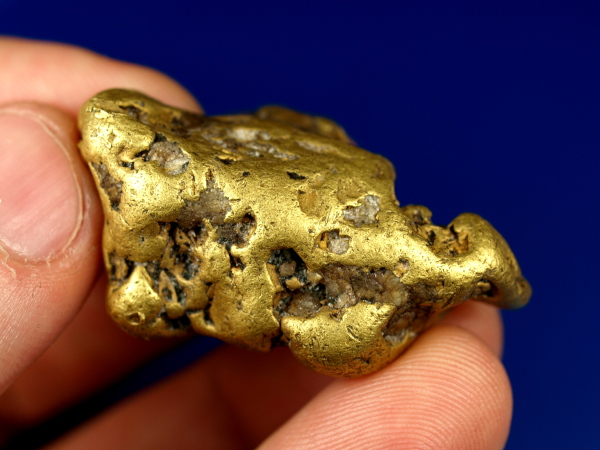 This is an absolutely spectacular gold nugget found at Nolan Creek in Alaska's Brooks Range. 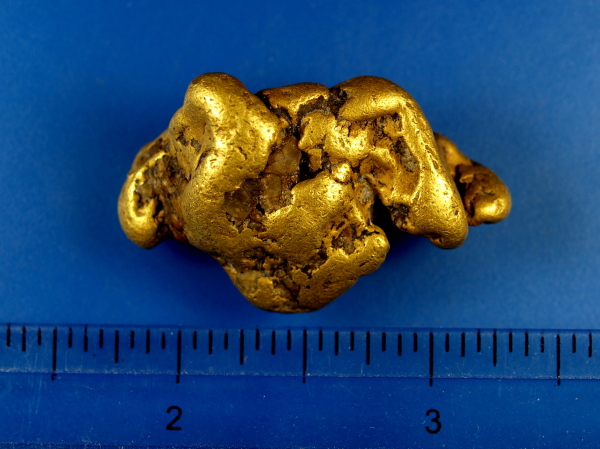 This is a very remote part of the state with a short mining season, and is responsible for producing some of the largest nuggets ever found in Alaska. 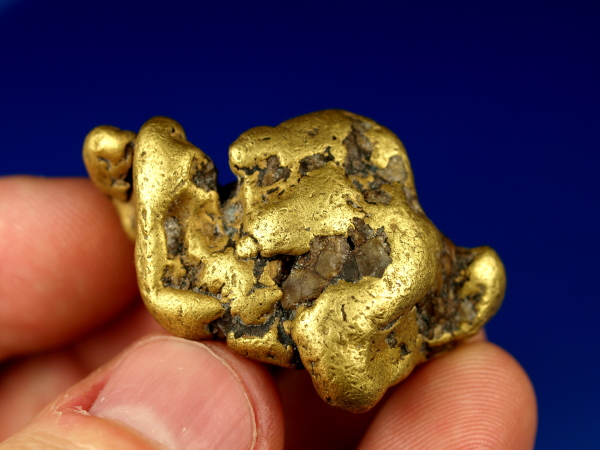 This whopper nugget weighs over 2.25 troy ounces, 70.19 gram. 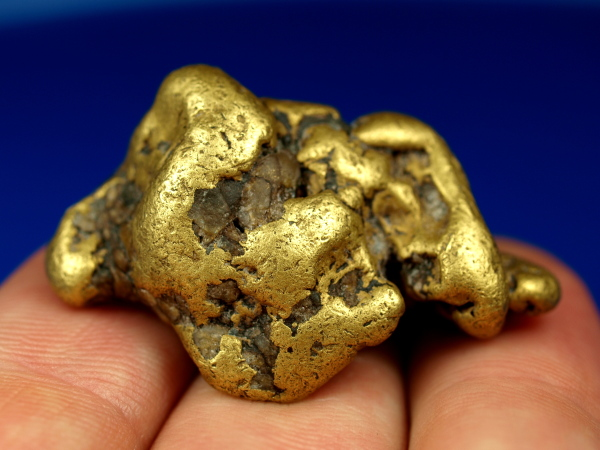 I handle gold nuggets all the time, but the weight of this chunk in the hand is really amazing. 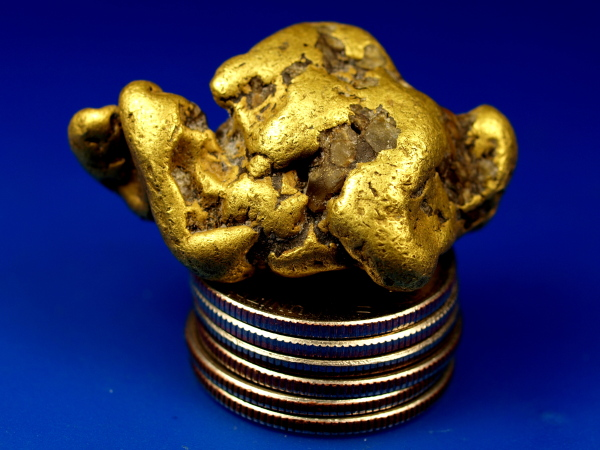 The stacked coins in the picture below are U.S. quarters to help show how THICK this nugget is. 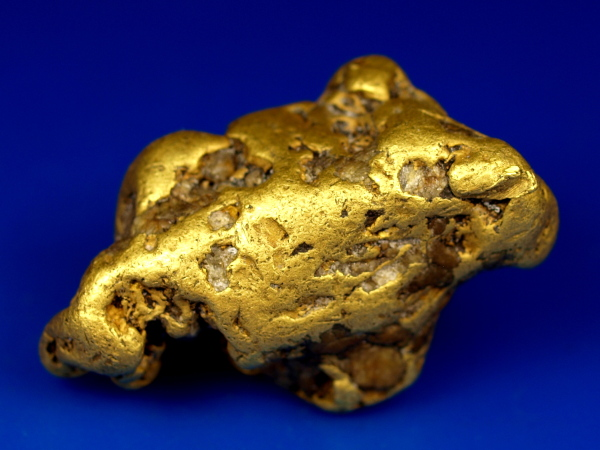 Due to the high value, this nugget can be purchased by certified bank check or wire transfer. 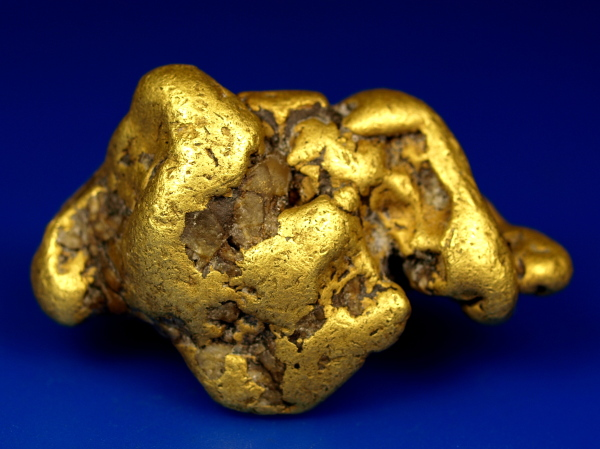 Contact us if you are interested in owning this awesome gold nugget.